California. “A” - General Engineering Contractor Lic.# 857750. California. 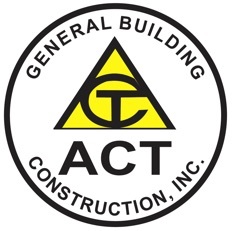 ”B” - General Building Contractor Lic.# 857750. California. “C-10” - Electrical. Lic.# 857750. - CalTrans/CUCP Minority Business. #38476. - Supplier Clearinghouse MBE. #14050098. -SLEB, SLBE, ACTIA, LIBE, SBE, VSBE. - Certified as a EPA Lead Renovator Initial. - 3M Firestop Installation Procedures. -Security Clearance From Department of Homeland Security. Our company has an excellent reputation for customer service and ability to meet deadlines consistently. We guarantee completion of each project with the utmost integrity. Our customers enjoy high quality craftsmanship, trustworthiness and personalized service. LED Lighting, Generators & Transfer Switches Experts, Carpentry, Plumbing, Drywall, Painting, Tiling, Mechanical Structural Construction, New Foundation, Concrete Beam, Slab, Driveway, Building Maintenance, Janitorial Services. OUR CUSTOMERS: U.S. General Services Administration (GSA), U.S. Social Security Administration, U.S. Army, Federal Emergency Management Agency (FEMA), U.S. Citizenship and Immigration Services (USCIS), Commercial and Residential. President, *Miguel Tolmo, has been in construction industry *Since 1974 working in both small and large-scale construction projects. A - General Engineering Contractor, B - General Building Contractor and C-10 - Electrical Contractor.